It was great to be back in Central and Southside Virginia for the past week. I believe that my ability to be a good representative in Congress depends on listening to and hearing from the people across the Fifth District, and this past work week I had the opportunity to meet with a variety of constituents, organizations, and business leaders. With the economy remaining the number one area of concern for Central and Southside Virginians, I traveled across the district holding business roundtables in Chatham, Bedford, and Farmville and spoke with the local members of the Danville-Pittsylvania County, Halifax County, Martinsville-Henry County, Lynchburg, and Charlottesville Chambers of Commerce. The input I heard from our employers and employees provided me with critical insight as we continue to work to get our economy back on track. One of the overwhelming messages I heard was how the expansion of the federal government into the private sector has directly and negatively impacted businesses both small and large in the Fifth District. Almost every one of our business leaders expressed serious concern about the number of unnecessary, government mandated regulations. Not only do these excessive and burdensome regulations end up costing critical resources in the short term, but the uncertainty of future and pending regulations stops them from being able to adequately plan for the future. It is clear that our businesses will not have the confidence necessary to expand and create long lasting jobs for Central and Southside Virginians until we reduce the number of onerous government regulations that are injecting an incredible amount of uncertainty into our marketplace. With this knowledge in hand, our work in Washington becomes even more important as we begin our efforts in committees to identify and eliminate those regulations that are overreaching and adding a tremendous weight and cost on business. As we seek to put policies in place that will help move our economy forward, I will continue to take with me the important messages I heard this week from our local business leaders and the people throughout the Fifth District. 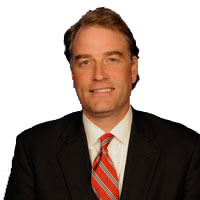 Robert Hurt represents the Fifth District in the United States House of Representatives.